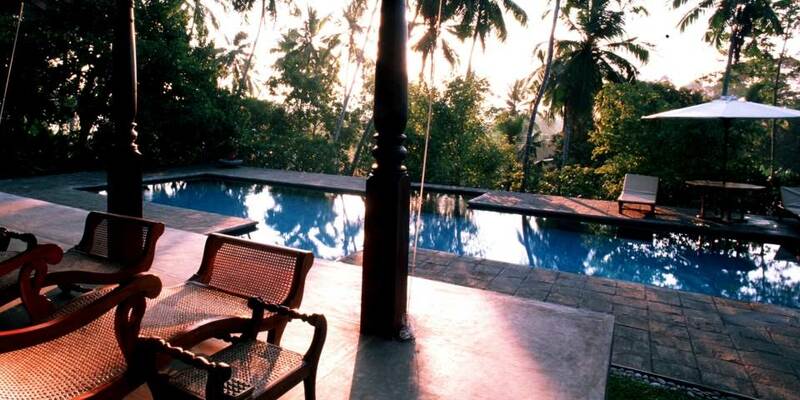 Just a short drive south of Bentota and close to the traditional fishing village of Balapitiya, The River House is set amongst seven acres of verdant tropical gardens. Next to the Madhu Ganga River and reached by an unmarked road, this delightful retreat is an idyllic hideaway filled with boutique hotel style comforts. Although the dining area in the main villa may be the perfect location in which to savour the delicious cuisine, the staff will be delighted to serve you dishes from the varied menu wherever you wish. The emphasis here is on using the freshest ingredients grown and produced locally on the island with genuine Sri Lankan dishes prominent at each meal, it is even possible to try the typical Sri Lankan breakfast of curries and sambals. These traditional flavours are complemented by Indian and Thai cuisine, while at lunch lighter fare is available with salads sandwiches and pasta on offer. 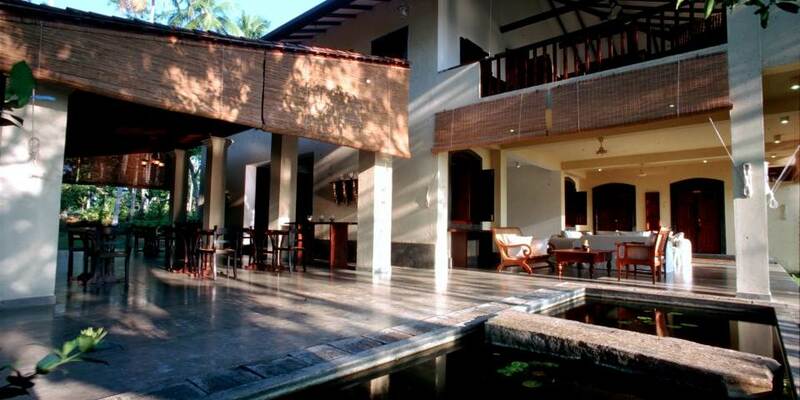 The River House is a perfect base from which to explore the south of the island, with Aluthgama, famous for its mask carving close by and the historic city of Galle not far beyond. Explore the beautiful Madhu Ganga on a tranquil early morning boat ride or just wander round the tranquil gardens and witness the abundance of wildlife. The beautiful infinity swimming pool is just made for a lazy swim, but most of all this tranquil property with its exceptional level of peaceful privacy is a place to savour time and space. 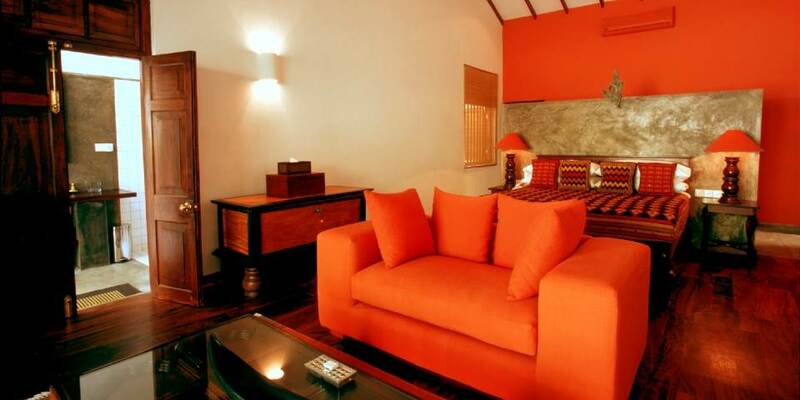 Each of the 5 extremely spacious suites is named after a sign of the zodiac, furnishings are a mix of antique and contemporary, fabrics are brightly coloured and floors are highly polished, with wrap around Verandah adding to the ambience of a bygone age. The master suite, Menik occupies the upper floor of the main villa and has the added benefit of a large plunge pool set on a huge terrace which affords views over the garden below. Three suites are situated on the ground floor, of which two; Kirinda and Kala share a private garden with rock pool and interconnect, which makes them ideal for a family. The third, Gin is next to the lounge and dining area, and has a semi private garden with beautiful views of the river. The Walawe suite is the most private of all; situated down the hill from the main house close to the river it has open Verandah from which to savour the views. It also features a huge shower room which also has an open air plunge pool overlooking the river.